Text: Kristine Grønhaug Photo and video: Ingrid Prestetun, Ghida Abdulatef/NRC Design: Anastasia Buialo Video editing: Eirill Dalan. The first days of March 2015 were a joyful time. “The southern port city of Aden was full of beautiful wedding parties,” writes Malka, 26, in her diary. But on 15 March, everything changed. Four years later, Yemen is still ravaged by a bloody war. 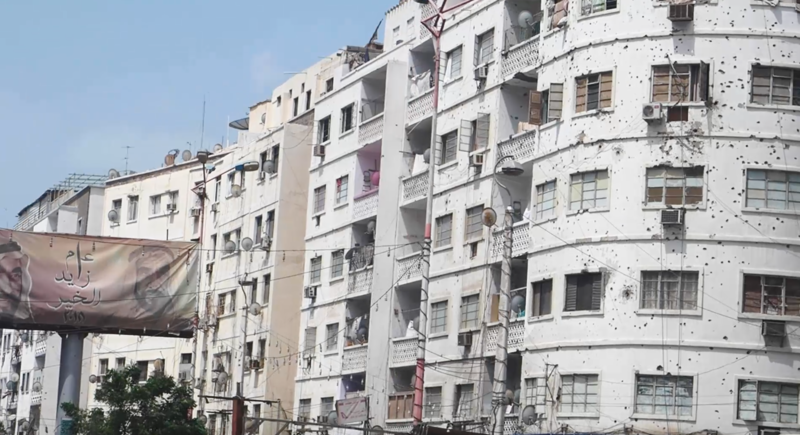 Large parts of Aden are in ruins. During World War Two, Anne Frank, a Jewish girl, kept a diary for the two years she was in hiding from the Nazis.In our modern times, Malka is keeping a diary about the war in Yemen. Aden, March 2015: Malka Salem Awad, 26, is talking enthusiastically in her classroom. She works at a primary school in her hometown of Aden, in southern Yemen. She teaches English. She is also very fond of writing. For Malka, writing is not just a hobby, it’s a lifestyle. Maybe she’ll write a book sometime in the future. At home, she has a diary where she notes down all her experiences. Suddenly, she gets a strange feeling that this is the last time she’s going to be here in the classroom. Malka’s students start to panic. She tries to say something to calm them down, but she doesn’t understand what is going on herself. She starts to feel scared. She asks the children to go outside. Malka reads about the day she fled. See more videos by NRC. The other classes have gathered in the schoolyard, and some of the children are already on the school bus. Malka gets even more worried when she sees that roadblocks have been set up. Now they can also hear explosions that seem to be coming from Aden International Airport, a short distance away. The children begin to cry. The students and teachers get onto the bus, which drives around the roadblocks. But they also need to pick up two children who go to another school – a school that is much closer to the fighting. As Malka and a colleague try to cross the street, someone starts shooting. Men are shouting at them: “Turn and run!” But they can’t leave the two children by themselves. They must keep going and take their chances. They manage to get them to safety. Like many others, Malka and her mother had to flee from Aden, in Southern Yemen to escape the bombs. But today she is back in her beloved city. 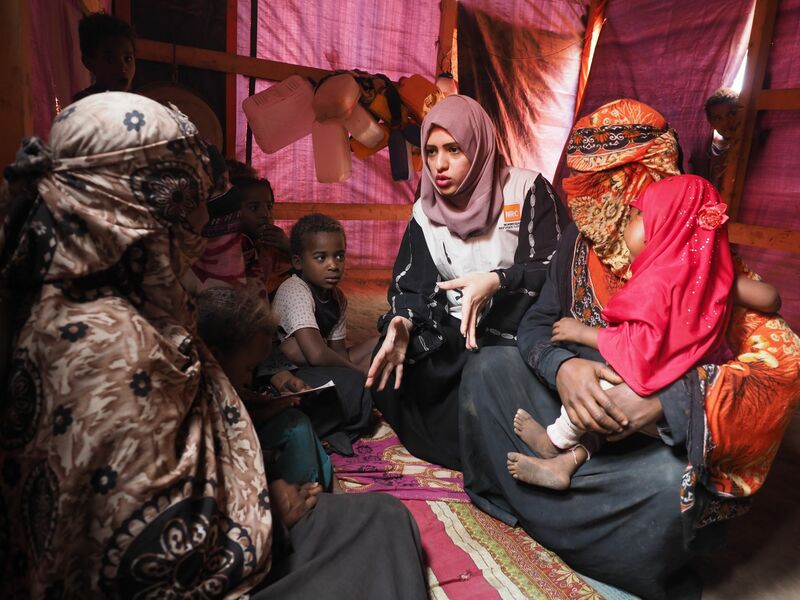 “I think that everyone, in the name of humanity, should help the Yemeni people as long as the war continues,” says Malka, who now works for NRC. Another voice from Yemen belongs to Nuhad Mubarak (27), who works for NRC. The war drives people from their homes. 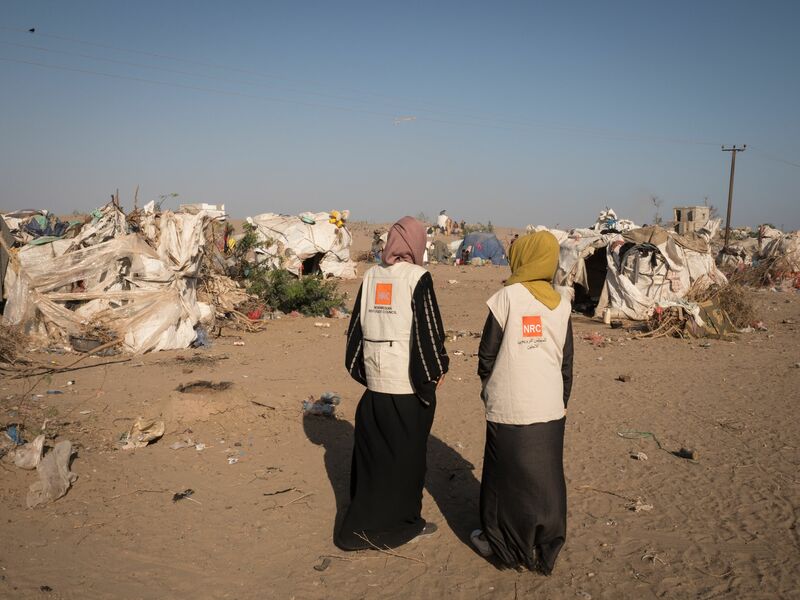 As of 2019, there are at least twelve camps in the southern part of the country, in Abyan, Lahj and Aden. The camps are home to people who have been displaced since 2016. The sun is intense, it’s nearly 45 degrees in the shade and the tents are like saunas. The conditions in the camp are terrible. It is dusty and dirty. There are snakes and insects. The children are malnourished. And many are ravaged by starvation and disease. But if NRC and the other humanitarian aid organisations weren’t there to help, the situation would be even worse. “There’s no dignity here. No one should live under such conditions. Imagine if it were your family living like that. It’s almost beyond comprehension,” says Nuhad. She has been a legal officer for NRC since 2018. Nuhad calls people who have been forced to flee their homes true heroes. They have lost the opportunity to make a good life for themselves, but they’re still fighting to make it happen. They are suffering, but that doesn’t stop them from supporting and helping each other. Nuhad talks about the needs in the camp. See more videos by NRC. “No matter where we are in our lives or where we are in the world, we can always do something for those in need. This is what inspires me in my work. Al-Garad is a camp for people who have been displaced inside their own country. It opened in 2016 to house 30 families. But in 2019, almost twice as many people are living in the camp. Here, the needs are great. NRC supports people in the campwith information and legal advice. On 5 May 2015, Nuhad also fled from Aden. She just took her laptop and some clothes in a bag. She went with her two sisters and two brothers, plus her stepfather. It took them a long time to persuade him to come with them. He kept saying that he didn’t want to die anywhere other than Aden. Nuhad and her family took a boat across the strait, along with many others who were forced to flee. They came safely to the other side, where they planned to move in with a relative. “They said a boat had been hit. It had been full of people and everyone died. It happened exactly where we had been. If we had left one day earlier, we would probably not be alive today. We would have just disappeared into the sea. “It was a terrible feeling. I can’t really describe it. I just stood there in front of the TV and thought: ‘It’s like getting a second chance, a new life.’ But I felt for the poor people who had lost their lives that way, while we were safe with our relative. Nuhad explains why it is so important that children receive a birth certificate. Among other things, this gives them the right to health care. Not least, it’s important in a country where millions of children die each year from diseases that could easily have been avoided. “No matter where we are in life or where we are in the world, we can always do something for people in need,” says Nuhad. Her mother is her role model. She died too young after a bus accident. Large parts of Aden have been destroyed. But when Nuhad walks into the hills and looks out over her city, she remembers how beautiful it was before the war. Large parts of Aden have been destroyed. But when Nuhad walks into the hills and looks out over her city, she remembers how beautiful it was before the war. 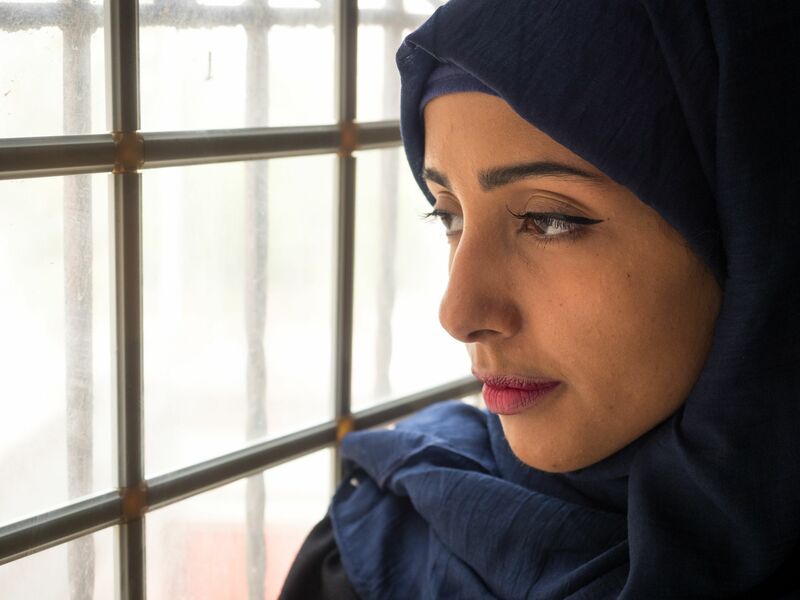 In 2018, Malka joined the Norwegian Refugee Council in Yemen. She works to help children be able to go to school despite the war. The dire humanitarian situation in Yemen is an entirely man-made catastrophe. A lack of access to livelihoods, food, safe water and identity documents has left 24 million Yemenis dependent on protection or humanitarian aid for survival and forced many to make choices that put them at risk of abuse and exploitation. Protracted conflict, economic deterioration and the sustained non-payment of public salaries have left two-thirds of Yemen’s population – 20 million people – facing crisis or emergency food insecurity, and a threat of widespread famine. While the end of 2018 saw a giant leap forward in Yemen’s political process with the signing of an agreement geared at restoring security, access and economic stability in Hodeidah, the situation across Yemen remains extremely fragile. The political situation remains uncertain, and there is no doubt that people in Yemen will need ongoing support and investment from the international community to meet their basic aid and protection needs. Read more about NRC in Yemen. About 30 million people live in Yemen. 3.3 million are displaced from their homes and living elsewhere in the country. Displaced people need help, but the global community has forgotten them. In Al-Garad camp people receive flour and some food from the World Food Programme. But it is far from enough. There is a great need for tents, latrines, food and clean water. The people are in urgent need of help. Donors have committed to giving 62 per cent of the money needed, but only five per cent has come in. Public services have broken down, the main Hodeidah port is blocked, food and fuel import is restricted. Al-Mishqafa camp was established for 420 people. In 2018, there were 2,100. NRC provides cash, ID cards, tents and latrines since last year. Only half of the population has access to clean drinking water. About 3,000 people are believed to have lost their lives to cholera in Yemen. NRC helps people in remote and hard-to-reach areas. Today, Yemen is full of mines and unexploded remnants of war. Therefore, if you need to drive where there are no roads, you should follow the tracks of other vehicles. More than 20 million Yemenis have trouble getting food every day and 10 million of them are one step away from famine. 238,000 are are on the verge of starvation. According to Save the Children, 85,000 children have already starved to death. In Al-Garad camp, there is only one water station shared by 350 people. The infrastructure in Yemen has been destroyed by air strikes, shelling, and grenade attacks. 1,500 schools have been destroyed. These attacks are also the main cause of civilian casualties. Malka stands in front of the ruins of Ali Abdulaleem School, bombed in 2015. Now, NRC and UNICEF has built a new school (seen in the background). It was opened in 2019, much to the delight of the students. 9 million displaced people worldwide.